Product code: R584 Categories: Sold Items, Sold Jewellery. Here is a magnificent antique cameo of Chiron and Achilles that is so exquisitely carved and complimented by the spectacular border that it is set in. Chiron was regarded as the most notable of all the centaurs and taught Achilles such things as riding, hunting and as depicted here, archery. Dating from the 1860’s, the cameo itself is so exquisitely carved on onyx and is a true testament to the quality of the artist that hand carved this all those years ago. The fine attention to detail is what separates one cameo to another cameo just like the quality of paintings and this cameo is up there with the best of the best. Most cameos are carved from shell which is a lot softer and easier to carve than onyx, so to achieve this level of craftsmanship would have taken years and years, and in this cameo it truly shows. 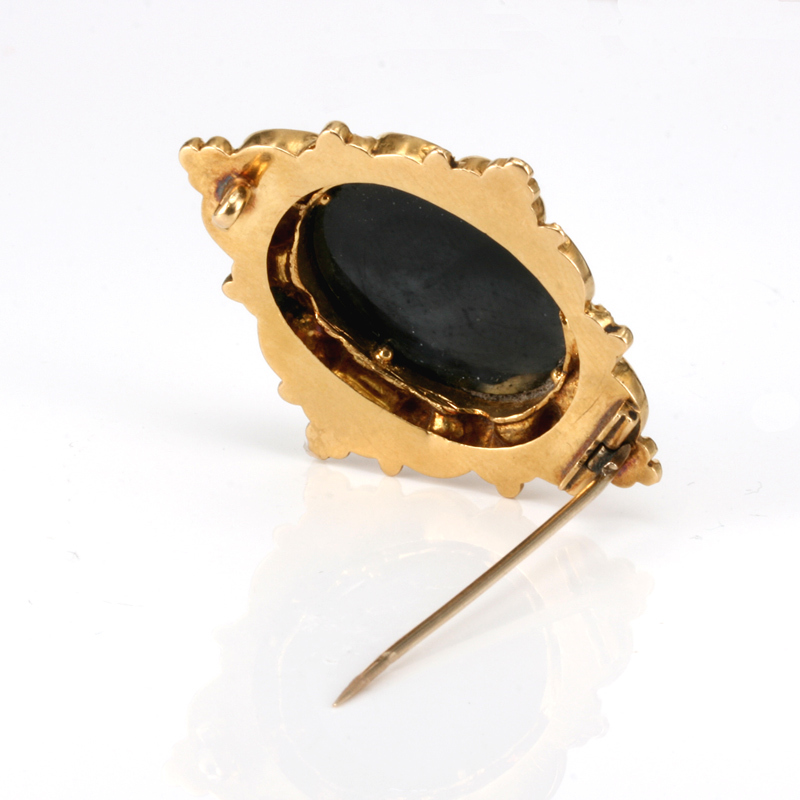 Mounted in a gorgeous frame made from 18ct yellow gold, the mount itself measures 44.5mm by 36mm and the cameo 24.1mm by 19mm. The design of the mount is just spectacular and typical of the Mid-Victorian period when this was made. There is no doubt that this is one of the finest cameos around, and one that will always be such a talking point.